Today is the 7th anniversary of my first date with Adam, so I decided to make Sunday brunch (complete with mimosas) to kick off the day. Tonight we’re going to dinner at Dish, one of my favorite restaurants in Red Bank (and one that I used to mistakenly call Dine). So I thought brunch at home would be perfect. 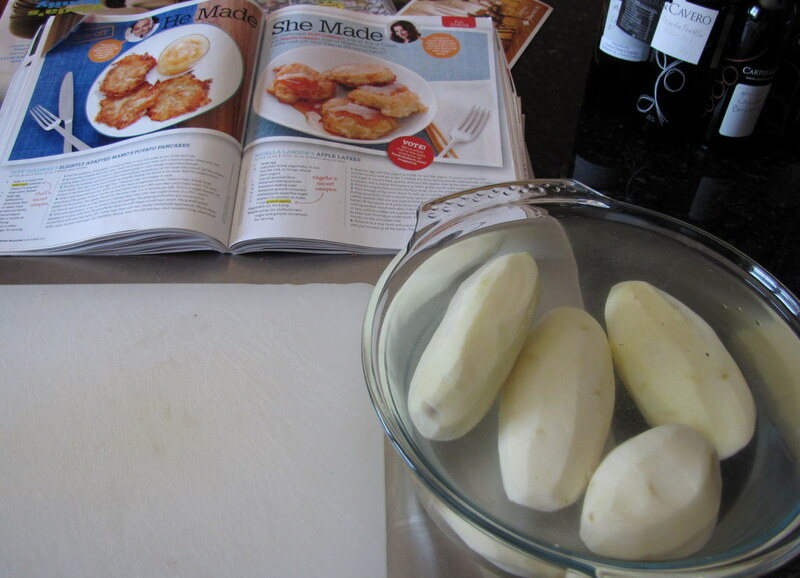 And I made potato pancakes from a recipe by Duff Goldman of Ace of Cakes fame (love that show). 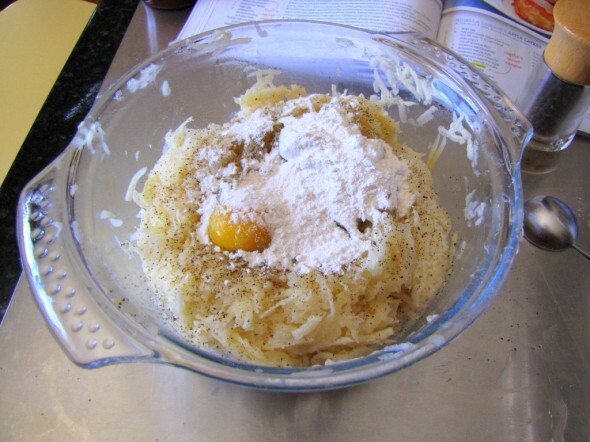 They were so good, and once I figured out how to make them, they were really easy. Next time I’ll play with the seasoning more, they were just slightly on the bland side. 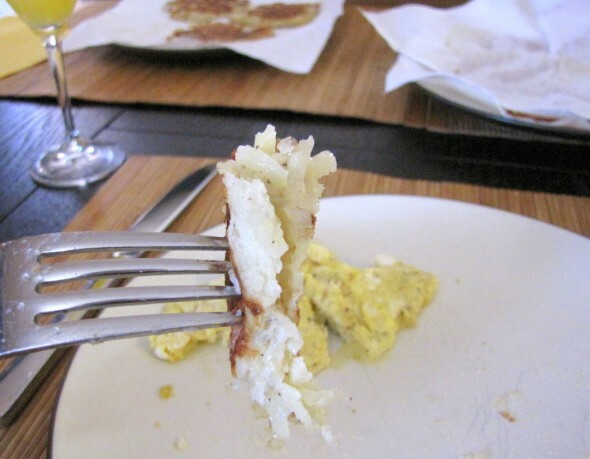 This recipe is an adaptation of Duff’s grandmother’s latke recipe. I had mix leftover that I’ll freeze and play with another day. Peel the potatoes, immediately immersing them in very cold water as you finish each one. Remove the potatoes from the water. 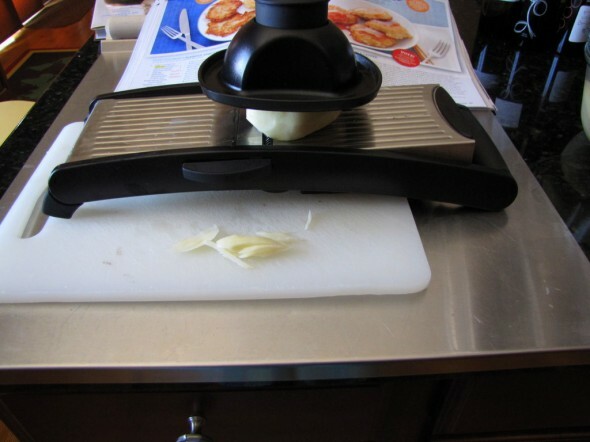 Grate the potatoes and onion with a food processor fitted with the grating blade. I originally tried to do this with my mandolin, and I realized I would be in the kitchen all day. Those suckers are hard to hold on to when using that thing. Anyway, I found my grating blade (never used before), and life was much better after that. Don’t press too hard on the potatoes going in — just enough to get them through. Transfer the potatoes and onion to a fine-mesh strainer; squeeze out all the water into a bowl. 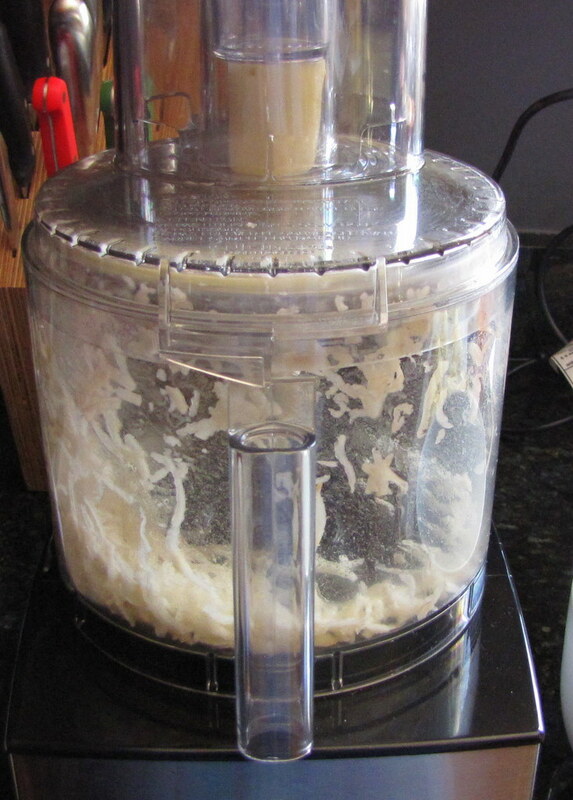 Let the potato starch settle, then pour out as much water as possible, leaving the starch in the bowl. Add the potato-onion mixture to the bowl and mix in the egg, flour, 1 teaspoon salt, and pepper to taste. This is where I will season more next time. Needed more salt and pepper, and they would have been nice with some fresh herbs, like rosemary. Heat a well-seasoned cast-iron skillet (I used my griddle pan) with a thin layer of vegetable oil over medium heat. 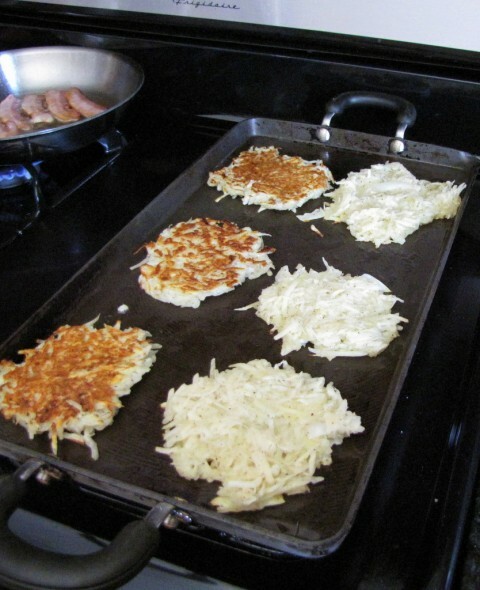 Scoop large spoonfuls of the potato mixture into the pan and flatten them out (thin pancakes yield crispy ones). 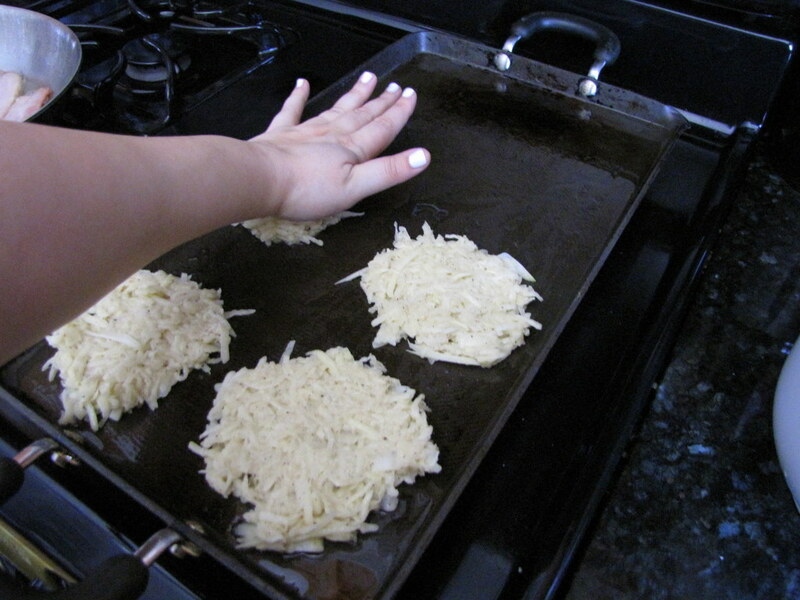 Fry until golden on the bottom, then gently flip and fry the other side, 3 to 4 minutes per side.